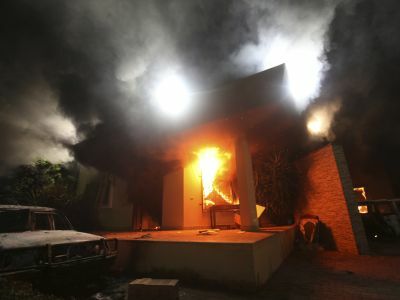 US embassies across the globe are tightening security after the ambassador to Libya died in a militia attack against the Benghazi consulate. 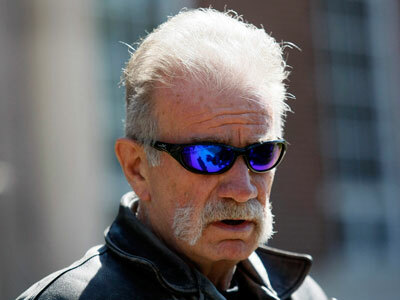 The attack was sparked by a US film satirizing the Prophet Muhammad. Protests over the film are widening. ­A US Marine Corps anti-terrorism group has been dispatched to Libya to boost security in the wake of the deadly assault, officials said Wednesday. 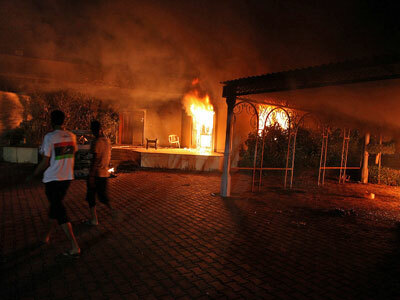 The Tuesday night attack resulted in the death of John Christopher Stevens, the US ambassador to Libya, and three other diplomatic staffers. Besides ordering the roughly 50-member unit of the Fleet Antiterrorism Security Team to move in, Washington has also told all non-emergency US government personnel to leave the North African country and warned US citizens against travelling there. Following the attack, the US has evacuated all personnel from Benghazi to Tripoli. Meanwhile, staff in the Tripoli embassy was reduced to emergency levels, Reuters reports. Condemning the attack, the US urged all American embassies across the world to take extra precautions. Calls for more protests against the US-made amateur film mocking Islam are already being raised in Egypt, Afghanistan, Algeria and other countries. In Tunisia, police fired teargas and tear bullets to disperse protesters outside the US embassy in the country 's capital. Around two hundred Salafist demonstrators gathered outside the premises in Tunis to condemn the controversial movie. 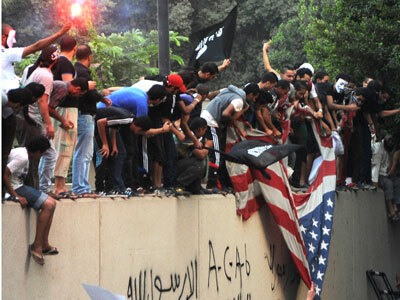 Several American flags were put on fire and prayers were told for the embassy to be closed. After rallying peacefully for several hours, the demonstrators then attempted to break through the gates of the embassy compound, but were blocked by the police and army. A similar demonstration in Gaza wrapped up with Palestinians burning a US flag. The Taliban called on Afghans Wednesday to prepare for a fight against Americans, and urged insurgents to "take revenge" on US soldiers. "The Islamic Emirate calls on religious heads around the country to completely inform Muslim followers of the inhumane acts of Americans… And make them ready for a long-term fight," the group said in a statement. Afghan authorities forced the country’s largest telecom service to restrict access to YouTube to prevent the controversial film from being viewed. 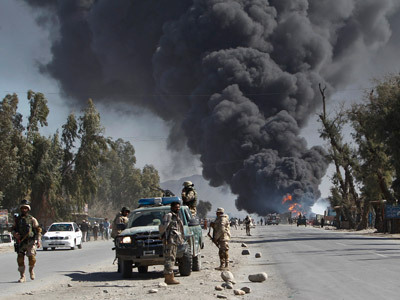 Washington also asked Kabul for assistance maintaining calm over video. The service will continue to be blocked “until the video is taken down," Afghan officials said. Pakistan has reportedly followed suit, while in Egypt the movie was blocked for all YouTube users. The movie behind the recent outrage is the two-hour-long amateur film "Innocence of Muslims", which satirizes the life of the Prophet Mohammed. The movie, made in the US and promoted by notorious Pastor Terry Jones, claims the prophet was a fraud and a philanderer who, among other sins, approved of sexually abusing children. After being uploaded to YouTube, the film sparked outrage among the international Muslim community and reportedly sent its director, Israeli-American Sam Bacile, into hiding. Pastor Jones was contacted by top US military and asked to withdraw his support for the controversial film. Lebanese political party Hezbollah condemned the film, calling on Muslims “to address the issue”. Dubbing the movie “an immoral act which represents the highest degree of aggression," the group urged the UN to prosecute anti-Islam acts as it does anti-Semitism. On Wednesday, the Muslim Brotherhood, Egypt’s largest political organization, urged “peaceful protests outside all the main mosques in all of Egypt's provinces.” The demonstrations are set for Friday, and “all national forces” are urged to join in, the group said. Egyptian politicians have also voiced concerns that the film aims to incite sectarian violence in the country. Production is reported to have involved two US-based Coptic Christians, while Copts make up a powerful religious minority in Egypt.